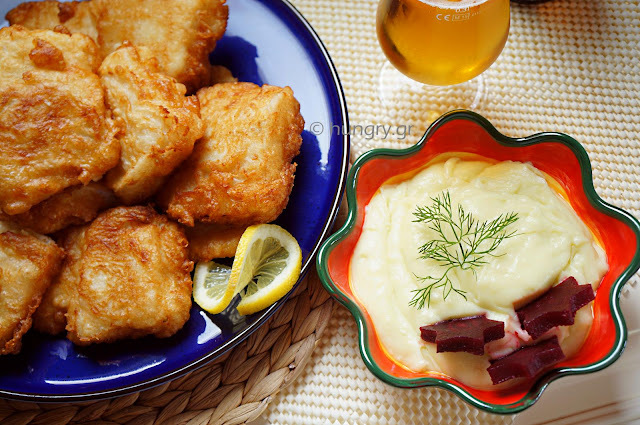 The fried cod accompanied by the garlic sauce and we enjoy their taste in a lovely combination. 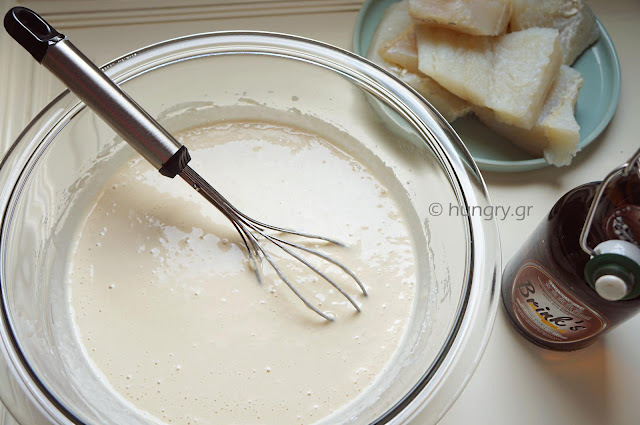 The slurry / batter made with dry yeast makes cod even more tasty and crisp and the garlic from a bland mashed potatoes can be transformed into a fluffy dip, like mousse, tasty and tangy flavor. 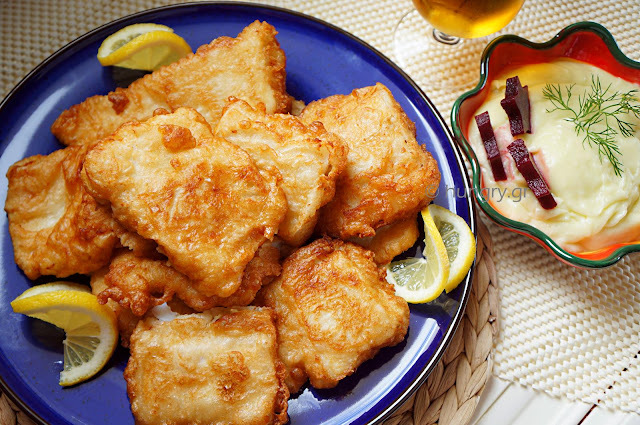 For all who love this dish, I wish enjoyment! 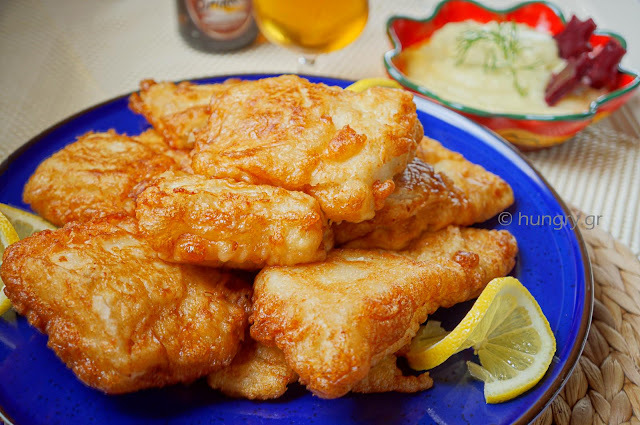 Remove the skin and black membranes of the cod, cut it into pieces and pour in cold tap water. Cover it and put it in the refrigerator for 18-20 hours. Change the water every 3-4 hours, a total of around 6 times. 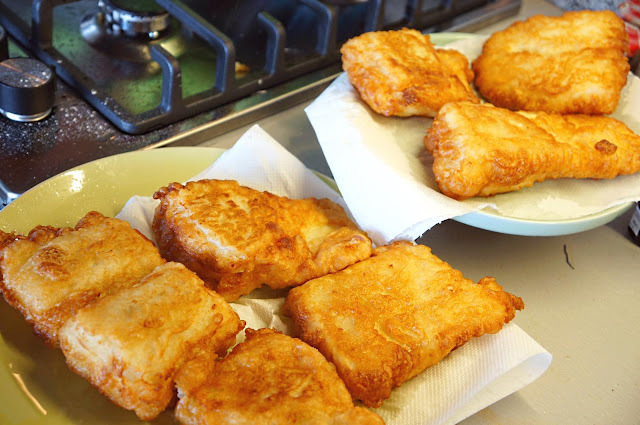 The day that you will fry it, prepare the frying batter a couple of hours ago. 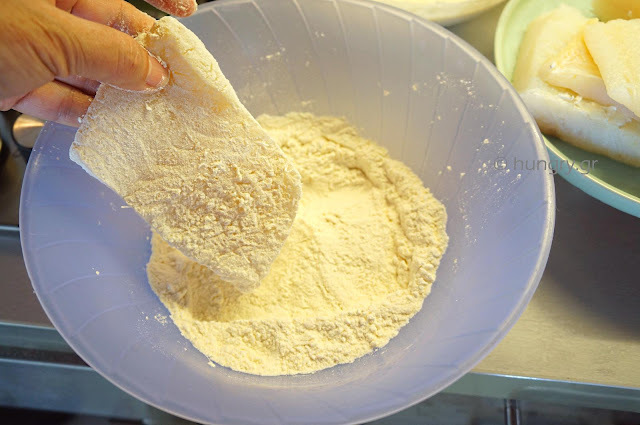 In a large bowl, add the water, salt, beer, yeast and sugar. 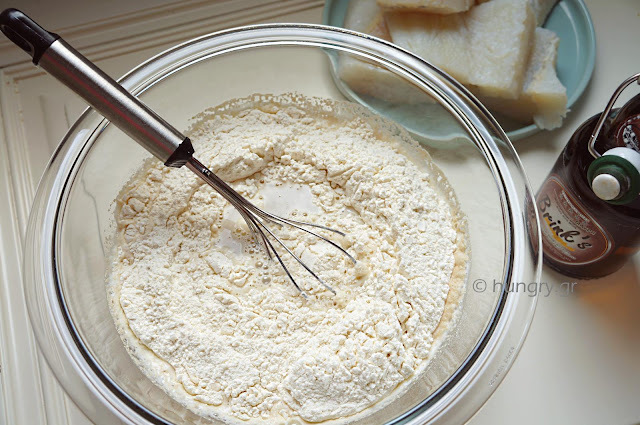 Add flour and mix thoroughly to dissolve and have no lumps. 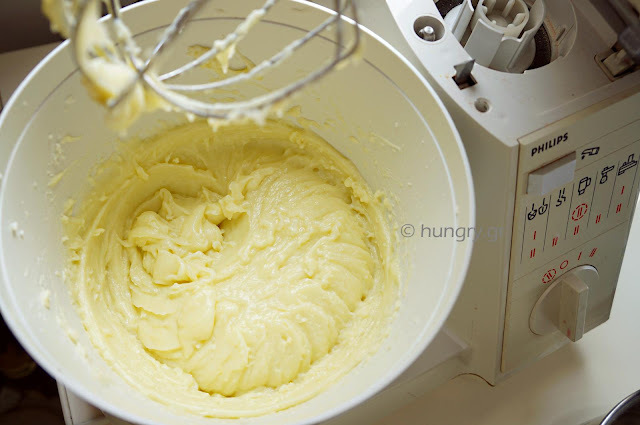 Cover the bowl and leave it in the warm for a couple of hours to rise the batter. 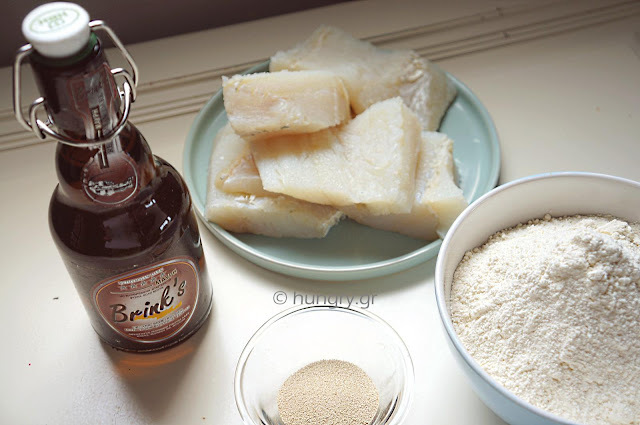 In this phase you take the bowl of the cod from the refrigerator, you strain it and let the pieces of cod to drain well. Boil the potatoes in salted water for ~20 minutes or until soft and well punctured with a fork. Drain and keep aside the water. You need for the garlic. 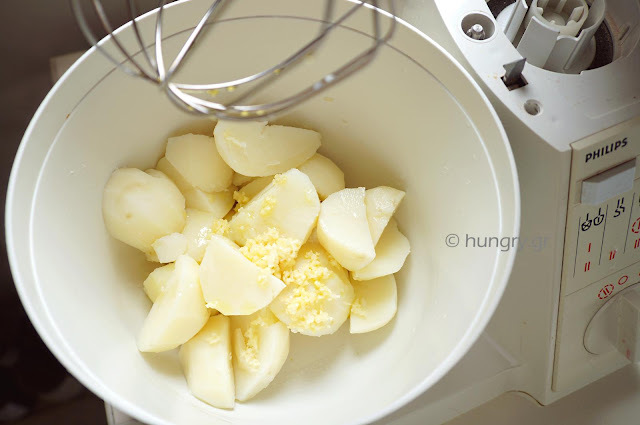 In a mixer bowl pour the boiled and hot potatoes and the garlic mashed. 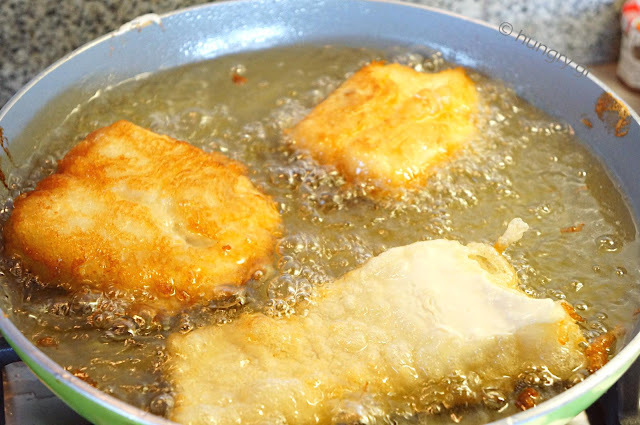 You beat them very well and gradually add the vinegar and olive oil in a thin stream. 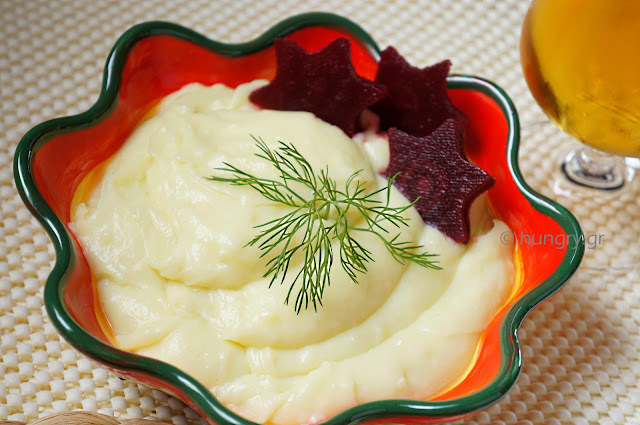 If necessary, dilute the mixture with water, kept from boiling potatoes. Add salt and pepper. Taste and correct the taste by adding garlic, oil, salt and pepper. In a large pan pour plenty of oil and let it burn. 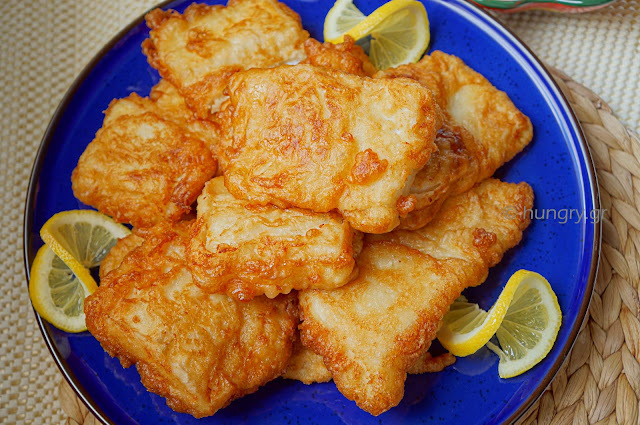 In a bowl put a little flour and sprinkle one-by-one the drained pieces of cod. 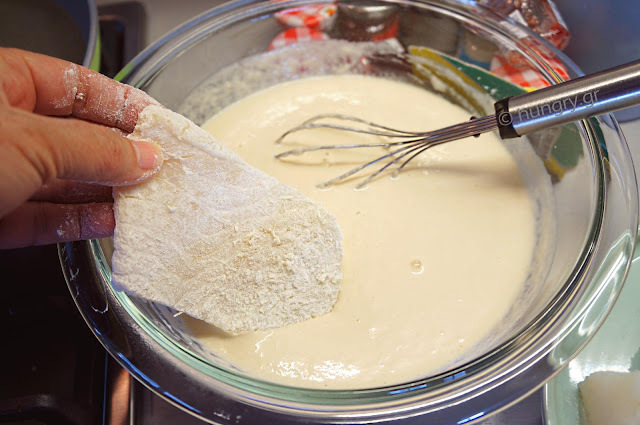 Then dip them in the batter and immediately after in the pan. 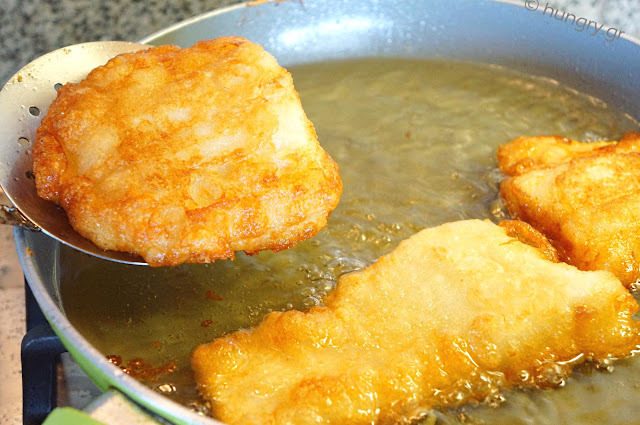 Fry from both sides little by little until the cod is finished. 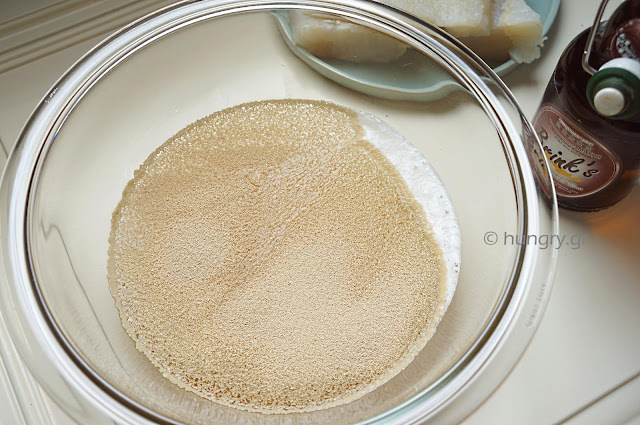 … and place them on absorbent paper to drain the excess oil. 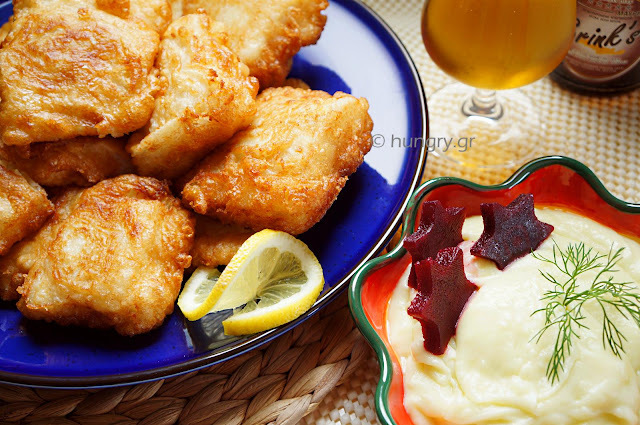 It's tradition in Greece at March 25 and October 28 to consume as a nation a delicious meal of Greek cuisine. 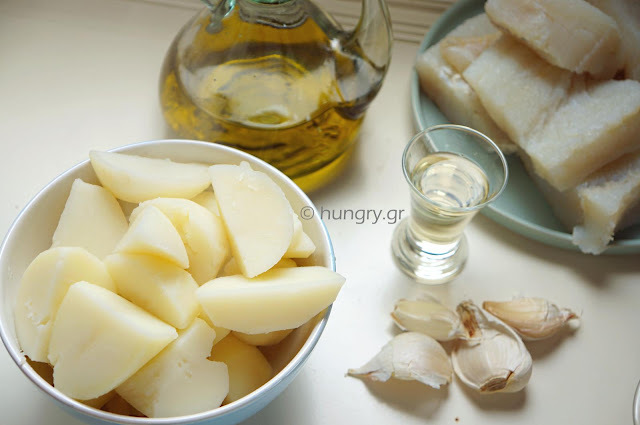 This is the salted cod and of course the necessary accompaniment, the garlic sauce. Today reversing the usual order of rotation of posts to the blog, which require a dessert I propose Garlic with Turmeric. The turmeric gives the garlic a nice and bright yellow color. Taste is great, a healthy choice and velvety texture. If your taste habits contains the garlic sauce then make it with the way I propose.